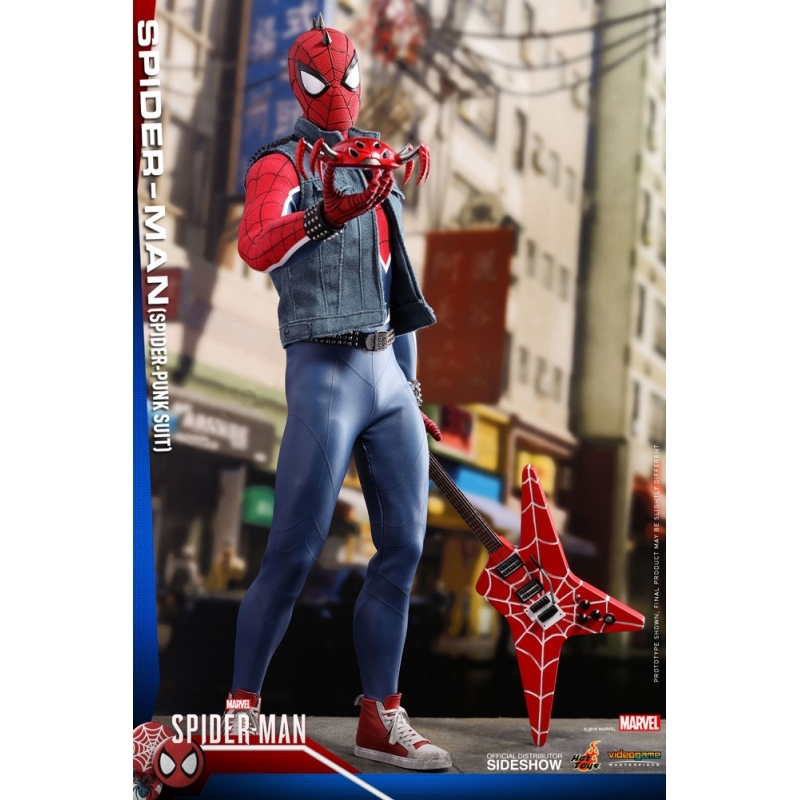 After eight years behind the mask, an experienced Peter Parker who’s more masterful at fighting crime, is struggling to balance his chaotic personal life and career while the fate of millions of New Yorkers rests upon his shoulders. 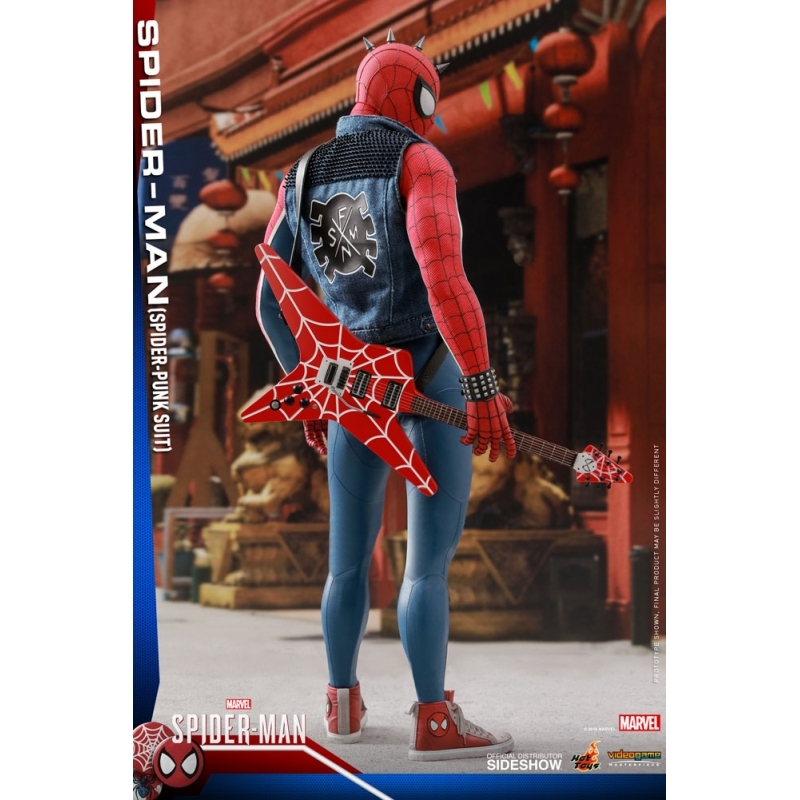 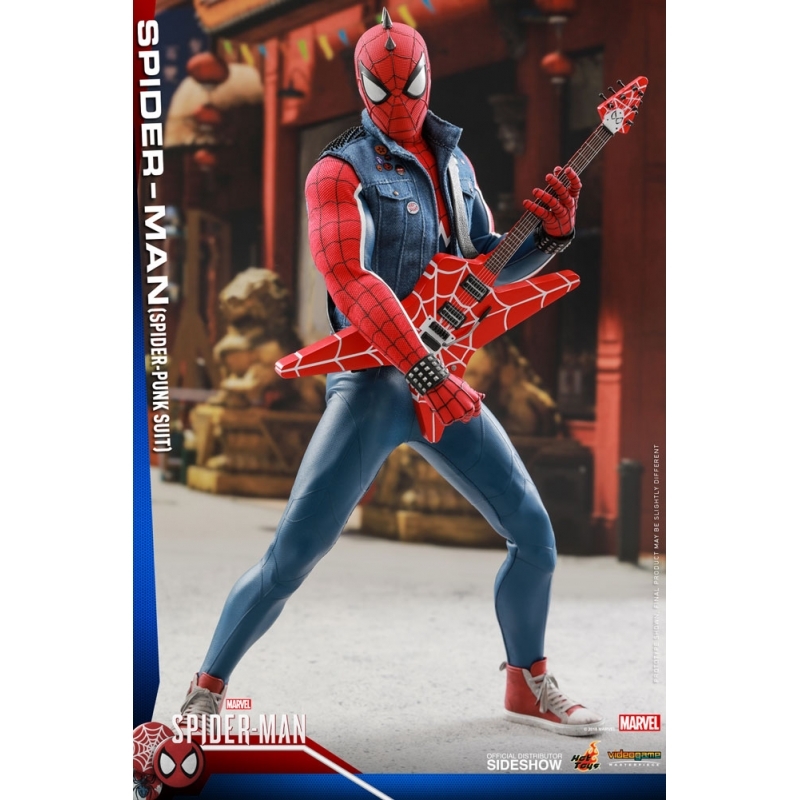 Following the introduction of the Spider-Man (Advanced Suit) from Marvel’s Spider-Man, Hot Toys are proud to present the new Spider-Man (Spider-Punk Suit) Sixth Scale Collectible Figure. 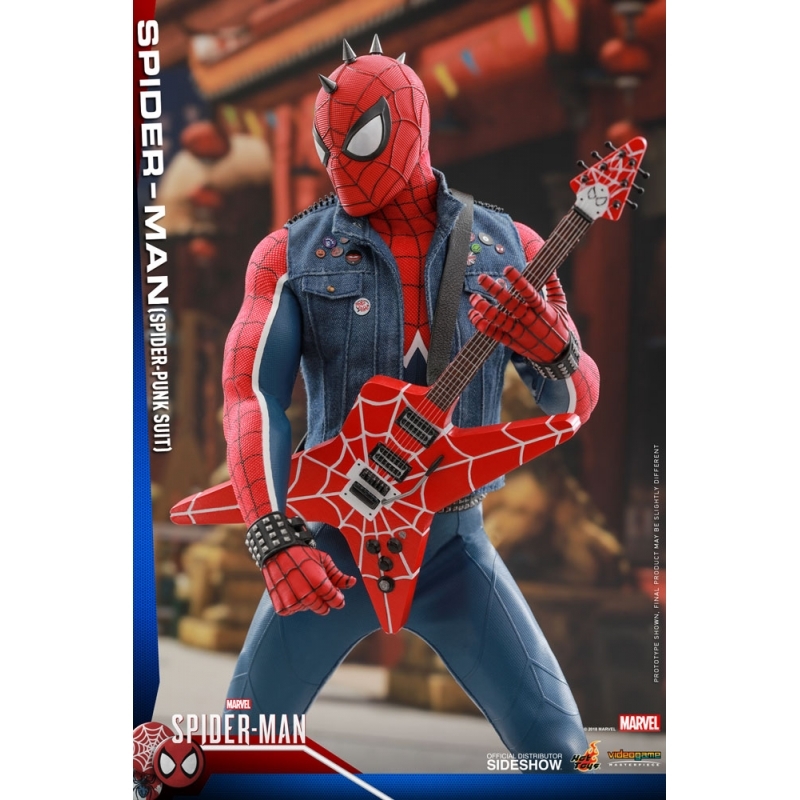 Meticulously crafted based on the Spider-Punk suit from Marvel’s Spider-Man video game, this collectible figure features a newly developed masked head sculpt with a spike Mohawk and three pairs of interchangeable eye pieces to create different combinations for Spider-Man’s expressions. 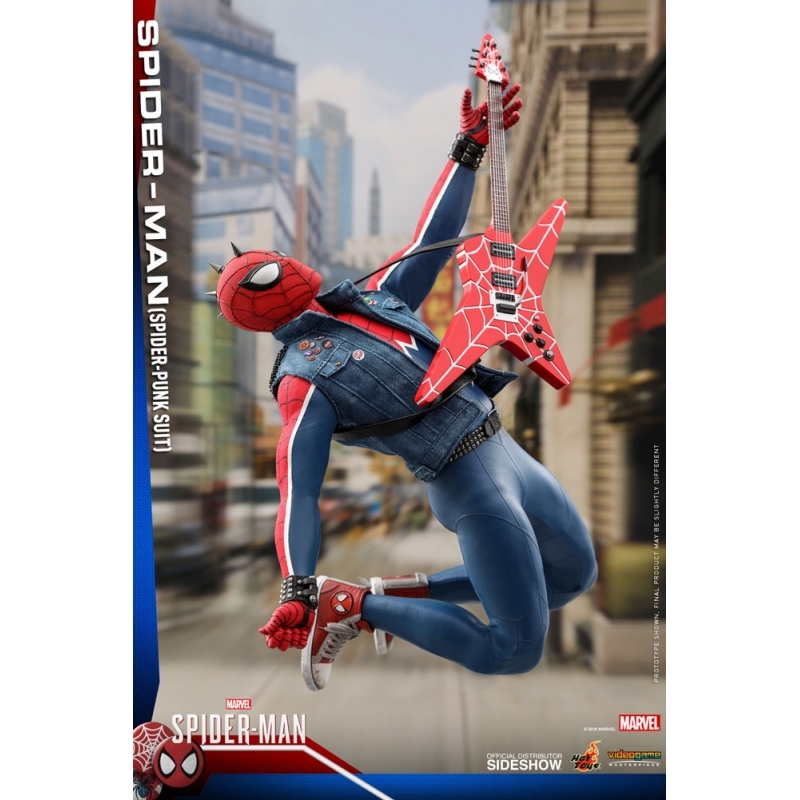 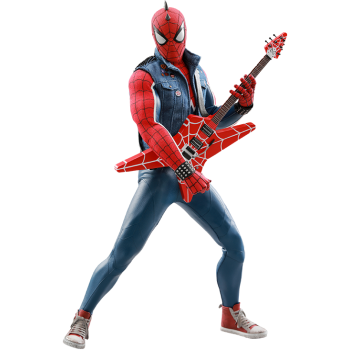 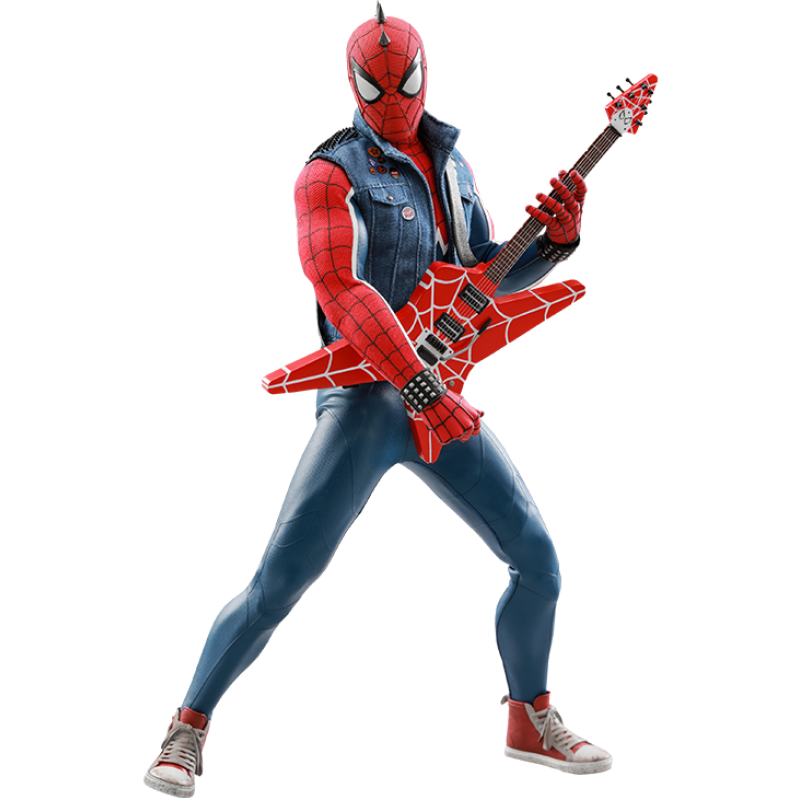 This figure features a newly developed body, a skilfully tailored Spider-Punk suit complete with detailed patterns, denim vest with pins and spikes, interchangeable hands for different postures, a star-shaped guitar, Spider-Drone, a variety of web accessories, and a stylishly designed figure stand!